On Wednesday 20th March 2019, the ChildRescue platform and app was presented at the “Is artificial intelligence a human rights issue? “ event, organized by the Scientific Foresight Unit (STOA) Committee of the European Parliament, in Brussels. The workshop aimed to assess the capacity of the existing universal human rights and ethics framework to confront emerging governance challenges when it comes to rapidly evolving and emerging AI applications. 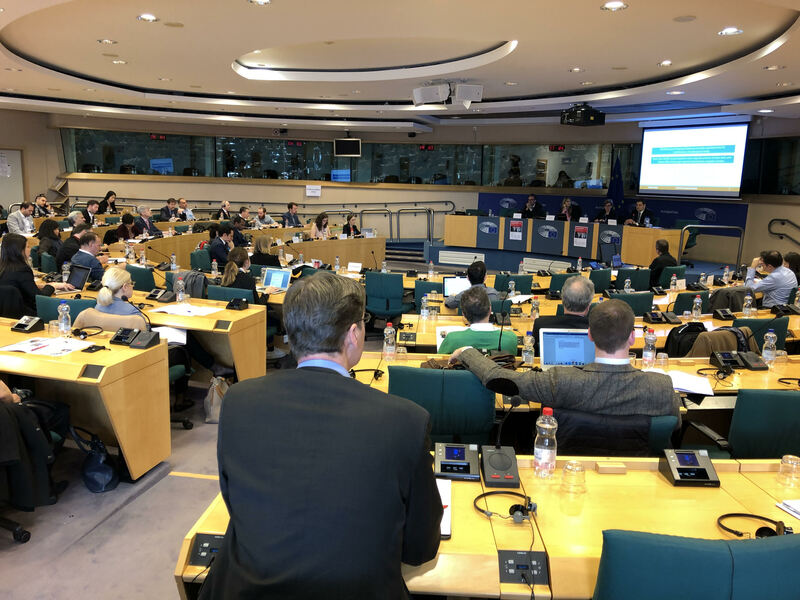 The event also presented an opportunity for the discussion of the EU’s potential to lead the development of a human centric AI by reaffirming its values and putting adequate safeguards in place for human rights and by defining a human centric direction of AI innovation. 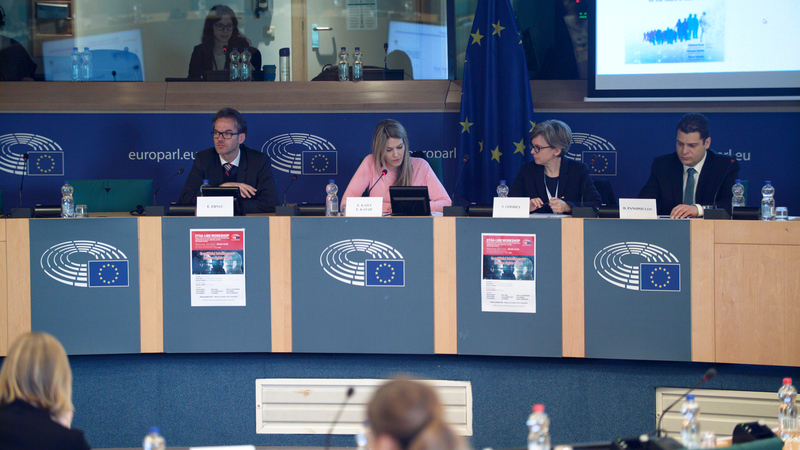 Mrs. Eva Kaili, MEP and Chair of the STOA Committee, at her opening speech and during the moderation of the panel, welcomed the ChildRescue project as a good example of innovation that can solve a problematic social issue in Europe. Ekkehard Ernst, Chief Macroeconomist, at the Research Department of the International Labour Organization (ILO) and Joanna Goodey, the Head of Unit at the EU Agency for Fundamental Rights were among the speakers at the event. On behalf of ChildRescue, Dr. Dimitris Panopoulos, an engineer from Suite5 , presented the platform and the goals of contributing towards the more efficient resolution of missing children cases. He explained how the technical developments of the platform had to carefully comply with all the relevant regulation of data protection and privacy, with special care due to the sensitive data of working with missing children data. “At every stage of the development, features of AI are used, bringing together existing best practice with the power of technology. The concept at the core of this platform has always been the respect of fundamental human rights: safety, dignity, protection of childhood. Developing new technologies that could provide a tool for the investigation and resolution of a missing child case has been the drive for our team, and we are working hard to deliver the first operational mobile app by the end of this year. We moreover try to address the issue of unaccompanied refugee children, who go missing, during their journey to and through Europe and in turn remain highly vulnerable to people who mean them harm”. During the workshop crucial issues of accountability, digital-ethics, non-discrimination, trust, transparency, justice and protection of personal data related to AI applications were explored as part of an effort of the European Parliament to define the methodologies and the framework of priorities and values, that would help policy-makers to regulate new technology. It is also useful to note that the “European Commission’s Communication on Artificial Intelligence for Europe (April 2018)” made special reference to the need to invest in people as a cornerstone of a human-centric, inclusive approach to AI and reaffirmed its support for research into human-AI interaction and cooperation by stating that the guiding principle of all support for AI-related research will be the development of "responsible AI", putting the human at the centre. Seventy years after the adoption of the Universal Declaration of Human Rights, the questions of the discussion during the workshop still remain to be answered. Is the current “human rights corpus” sufficiently legible for designers/technologists? Is the existing ethics guidance a sufficient tool for addressing human rights in the context of AI? Can international human rights law influence AI regulation or legislation by national or local governments? How can we operationalise human rights into business models, workflows and product design in the field of AI? The ChildRescue platform, thanks to the funding providing by the European Commission through the Horizon 2020, is working on the anwering some of these questions.